Tierra del Fuego is not for camping. It is flat, windy, freezing cold and devoid of protected areas. There are no trees, save for a few that have been mistakenly transplanted and are in the process of getting uprooted by the aforementioned wind. My host one night told me that it is impossible to generate wind power down here because the largest of windmills just aren’t strong enough to withstand the onslaught. I have made it to Rio Grande Argentina, on the Atlantic coast of South America, after pushing myself to my physical limits for one last time yesterday and limping here on sore knees today. 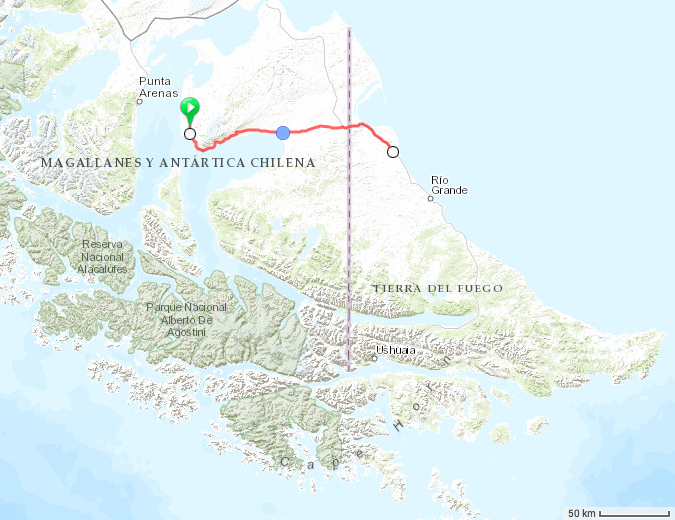 I’m in the final stretch, with only about 230km left to Ushuaia. 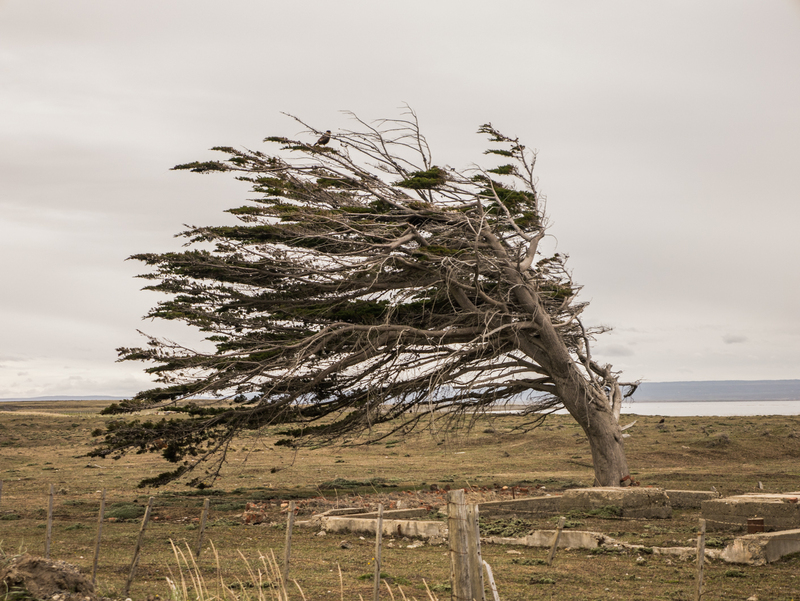 You can’t photograph wind? False. Mostly flat, or a hill in the beginning to warm up on. Enough time on the road to build the physical strength for it. 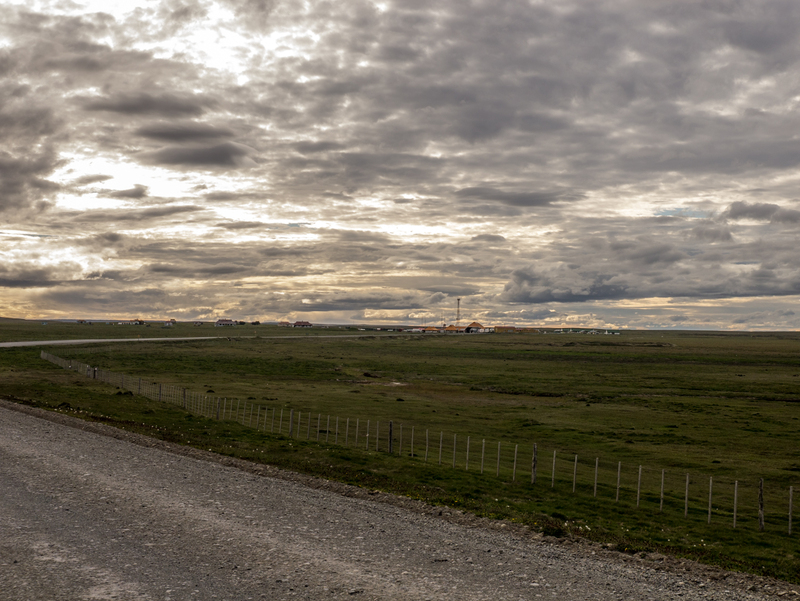 The stretch from Porvenir across Tierra del Fuego in theory almost matched these descriptions perfectly. So, if I was going to do it, it was going to be there. So, when I woke up on wednesday morning with questionable ripio, no tailwind, and a hilly first 20km, it was questionable in my mind whether or not I’d go for it. Lots of military stuff down here, leftovers from the Falklands. I planned to stop at a king penguin colony at 113km, but those plans changed when a piece of graffiti at the turnoff said “THE PENGUIN COLONY IS A SCAM.” Looking at the site on tripadvisor now, I see that they charge $25 to see the penguins from a huge distance. The colony only sprang up a few years ago. When it started, tourists could just go up and touch the penguins. The colony shrunk from 75 to 25 until someone decided to build a fence and charge for entrance. So, good and bad. But in retrospect I probably wasn’t going to pay $25 for it, and I’ll live with my mom’s video from the south pole last week. 140km: Exit Chile for the last time. 155km: Ripio ends for the last time. Sad to see it go. 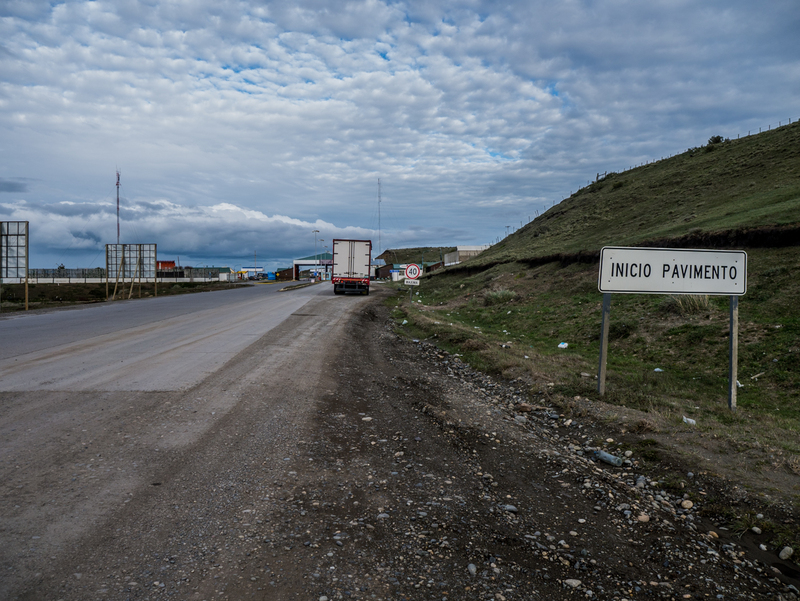 155km: Argentina border entrance, and start my trip on Route 3, which runs 3000km from Buenos Aires to Ushuaia along the Atlantic coast. 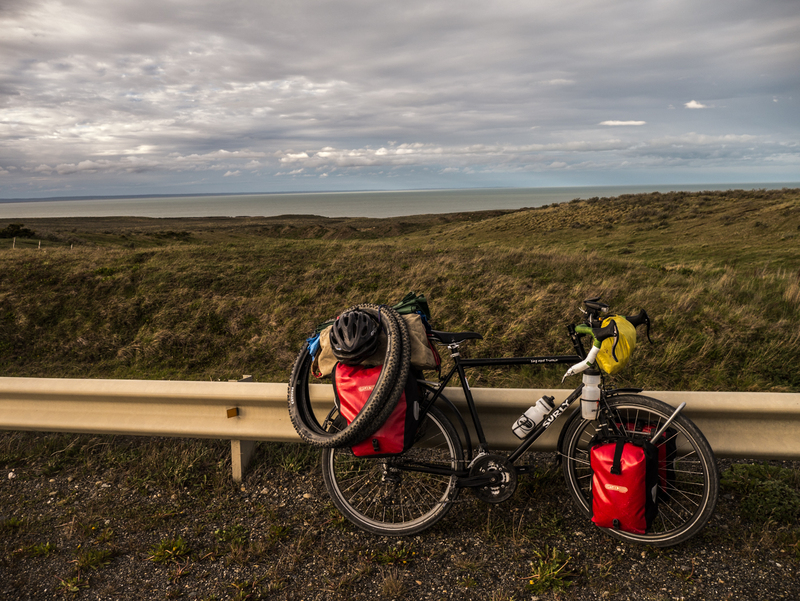 157km: First sight of the Atlantic, signifying that I had ridden from the west to east coast of Tierra del Fuego, from the Magellan to the Atlantic in one day. Basically, accomplishing the same thing as sailing the Strait of Magellan or sailing around Cape Horn. 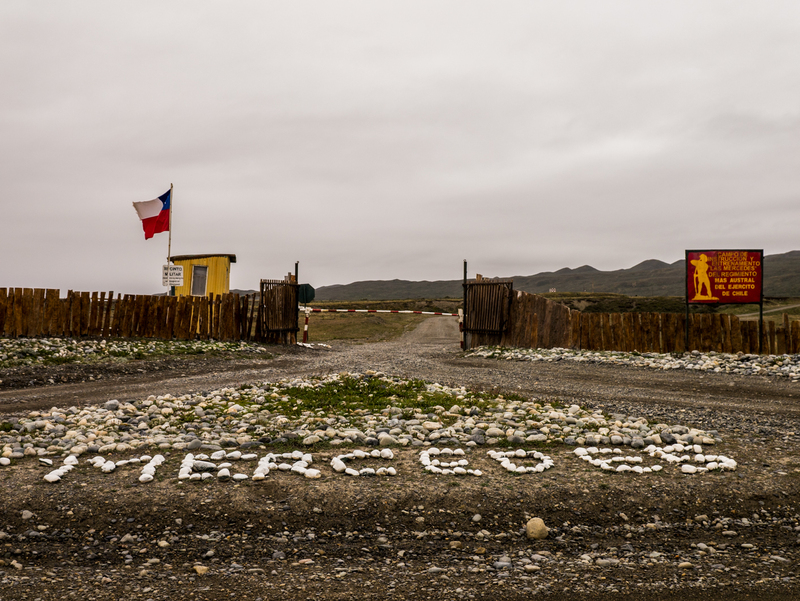 160km: Chile puts no Argentinian cities on their road signs, and vice versa. So here was my first road sign with my destination of Ushuaia marked on it. 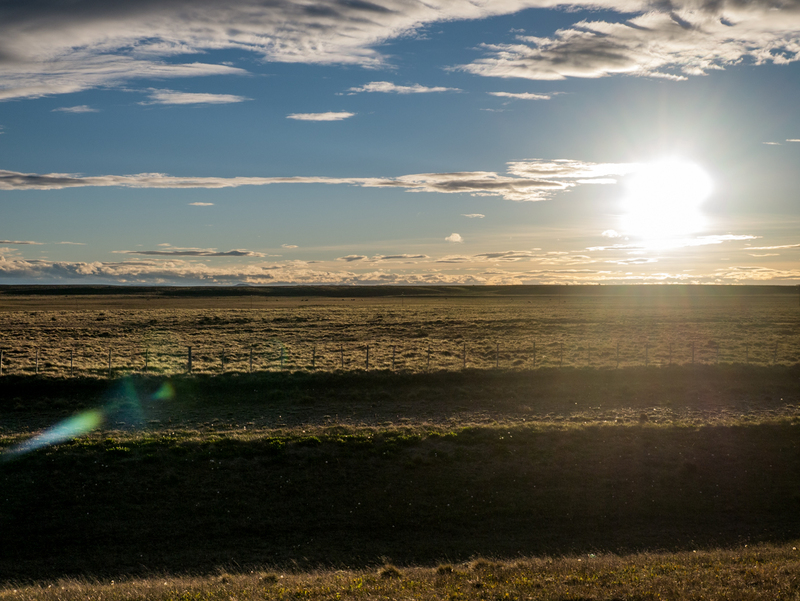 165km: Wind on full blast has pushed the cloudy day away, leaving behind an awesome start to a sunset over Tierra del Fuego. It is 8pm and in my delirium I have pushed from my mind the fact that the next town is 70+ km away. 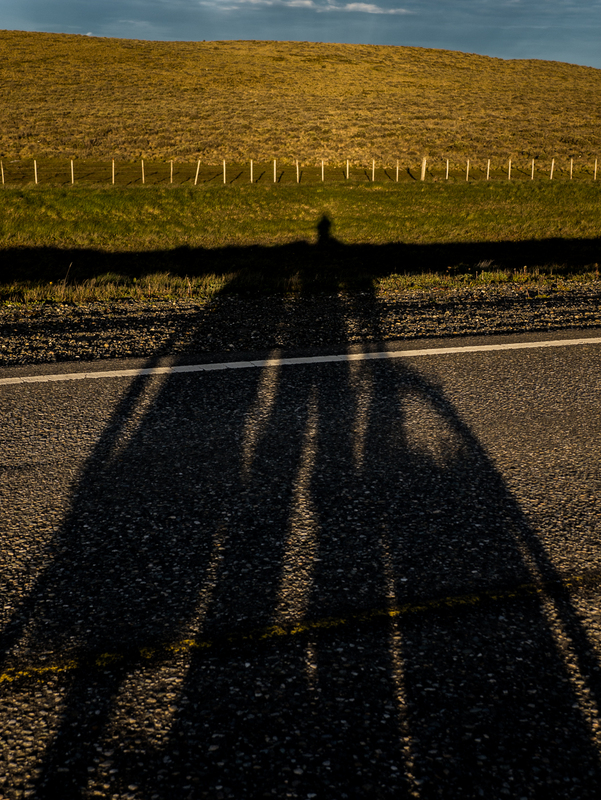 So, after 9 hours and 40 minutes of time in the saddle, 181km in, and the sun setting at about 9:30pm, I pulled over to the only estancia I could find close enough to the road, did my best to look as bedraggled as I felt, and was shown to a place I could set up my tent. With a bottle of wine I had lugged through the entire day, I watched the sun set over the herds of sheep and stretched. 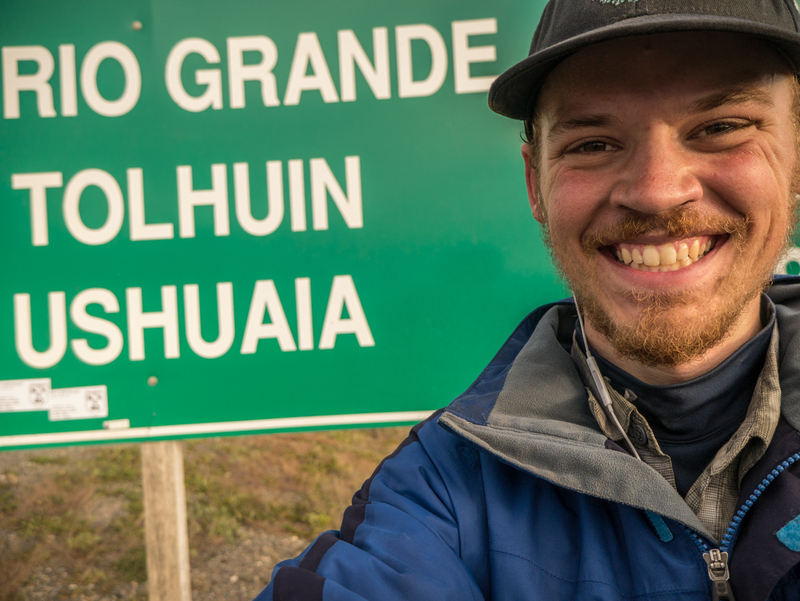 After an uneventful yet incredibly painful 55km the next morning I found myself in Rio Grande.